Go for a jaunt from Las Vegas to Boulder City to see Hoover Dam about 50 minutes away. 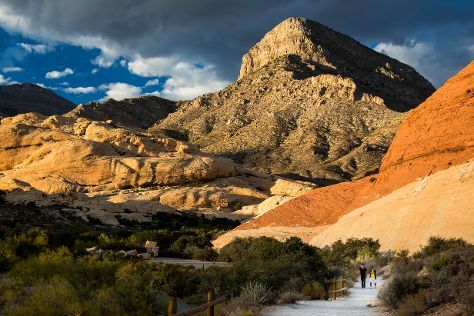 And it doesn't end there: take in the dramatic natural features at Red Rock Canyon National Conservation Area, take in nature's colorful creations at Bellagio Conservatory & Botanical Gardens, get a taste of the local shopping with The Strip, and try your luck at Bellagio Hotel and Casino. To see where to stay, photos, more things to do, and tourist information, use the Las Vegas route planning site . In November, daily temperatures in Las Vegas can reach 68°F, while at night they dip to 47°F. Wrap up your sightseeing on the 12th (Mon) early enough to travel back home.